Pennyroyal Academy: Seeking bold, courageous youths to become tomorrow's princesses and knights. Come one, come all! A girl from the forest arrives in a bustling kingdom with no name and no idea why she is there, only to find herself at the center of a world at war. She enlists at Pennyroyal Academy, where princesses and knights are trained to battle the two great menaces of the day: witches and dragons. There, given the name "Evie," she must endure a harsh training regimen under the steel glare of her Fairy Drillsergeant, while also navigating an entirely new world of friends and enemies. As Evie learns what it truly means to be a princess, she realizes surprising things about herself and her family, about human compassion and inhuman cruelty. And with the witch forces moving nearer, she discovers that the war between princesses and witches is much more personal than she could ever have imagined. Set in Grimm's fairytale world, M.A. 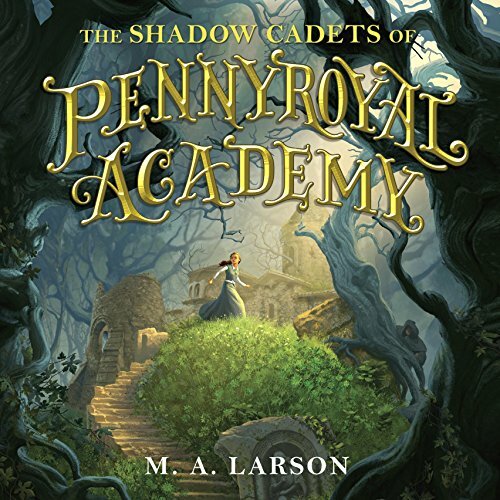 Larson's Pennyroyal Academy masterfully combines adventure, humor, and magical mischief. A girl from the forest arrives in a bustling kingdom with no name and no idea why she is there, only to find herself at the center of a world at war. 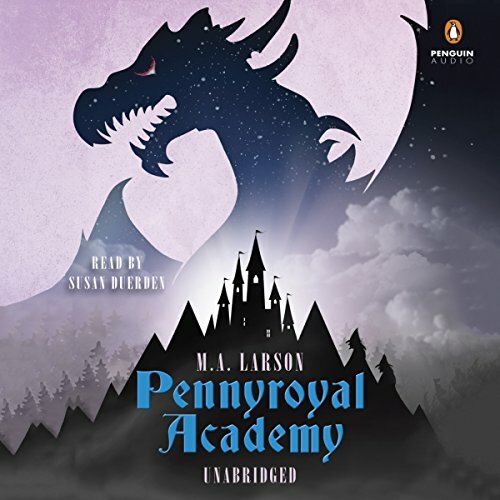 She enlists at Pennyroyal Academy, where princesses and knights are trained to battle the two great menaces of the day: witches and dragons. There, given the name "Evie," she must endure a harsh training regimen under the steel glare of her Fairy Drill sergeant, while also navigating an entirely new world of friends and enemies. This book was bloody amazing! A triumphant victory over the witches has proven that Princess Cadet Evie really does belong at Pennyroyal Academy. News of her heroism has traveled far and wide - inspiring a kingdom of grateful citizens and, when the new term starts, a wave of fresh Academy recruits. While it's good to be returning to the academy as a second-class cadet, things are not as they should be. Evie witnesses the vicious attack of an innocent woman - by a trio of princesses.